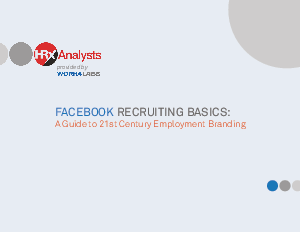 Facebook is where the fish are, and there has never been a more opportune time to begin recruiting new talent through your Facebook career site or brand page. As more and more companies make their presences known through their pages, Facebook's one billion users grow more accustomed to interacting and sharing content with those companies of which they become fans. Define and target the right candidates. Build an engaging and highly trafficked brand page. Get ready to take a dip in a thriving talent pool with your own successful Facebook recruiting strategy.